Ideas for a lemonade stand party began brewing shortly after Leah's 1st birthday last year (I couldn't help myself from thinking about!). 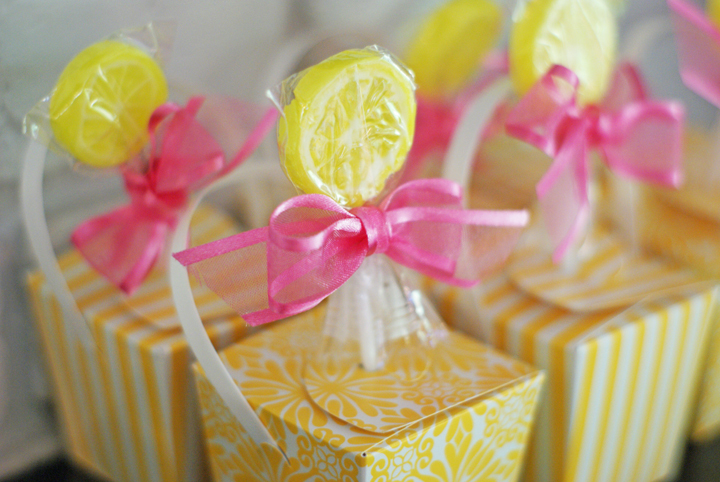 I love the color yellow and loved the idea of lemonade for a summer party. 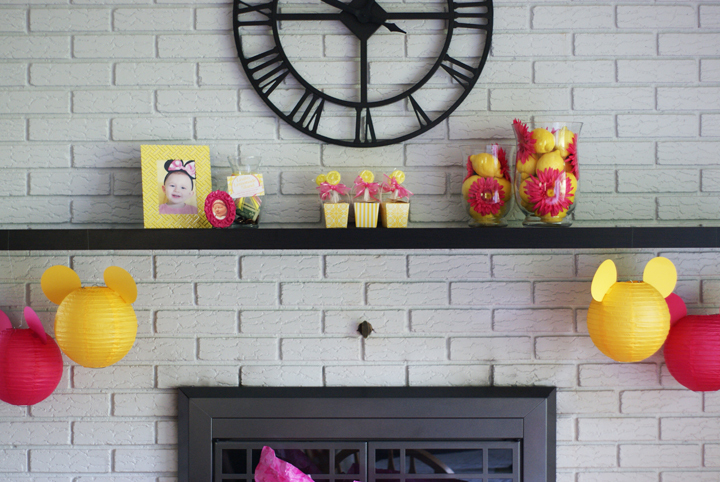 As the year progressed and Leah developed a love for all things Mickey and Minnie, I thought it would be cute to include touches of her favorite characters. 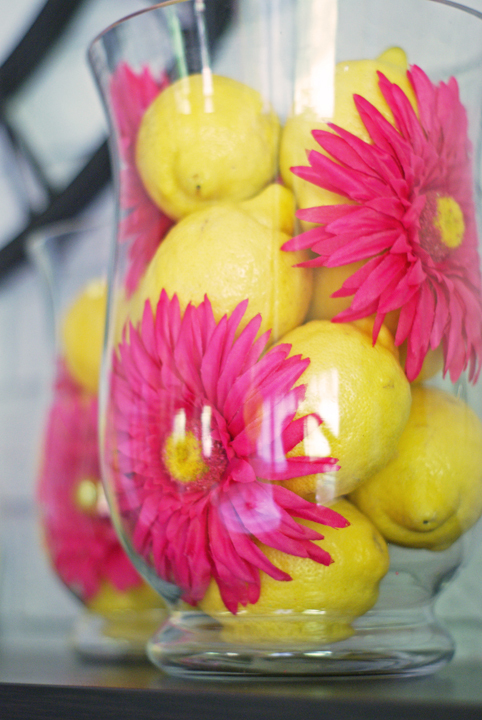 I knew yellow would be a dominate color, but after adding Minnie into the mix, I also included pink...which also works well for pink lemonade! 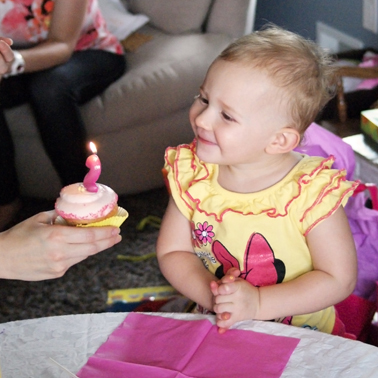 I captured photos of Leah wearing her Minnie ears a couple of months before the party. I thought it was the perfect touch to tie in Minnie Mouse, without having it take over the theme. 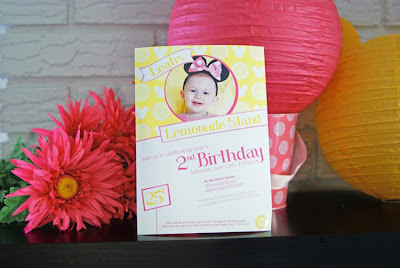 I designed the invite around the photo, and created a pattern that included lemons and a Minnie silhouette. There were two main areas where the "fizzing" took place, the mantle and the the dessert table. On the mantle were hurricane vases with pink gerbera daisies and fresh lemons, photos of the birthday girl, party favors for the little ones, and a collection jar for No Kid Hungry (I noted on the invitation that we would have a jar for change collection for those who wanted to give - we raised $53!). 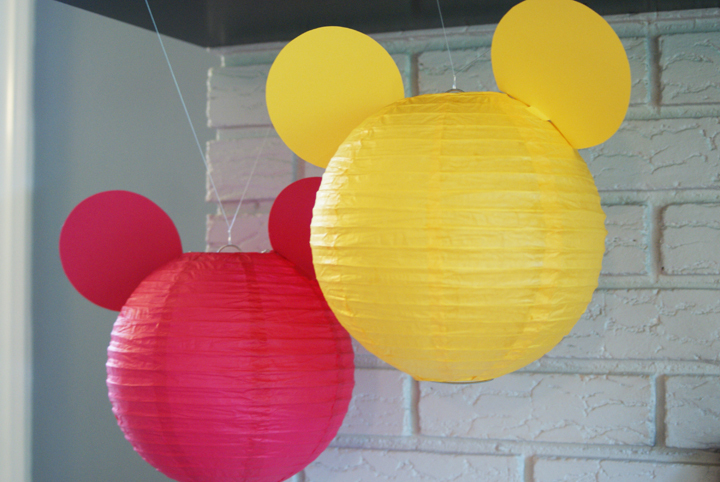 Hanging from the mantle were DIY Mickey/Minnie paper lanterns. I got the idea after seeing something on Kara's Party Ideas I was lucky to find the perfect paper lanterns in the value section at Target and matching cardstock at Michael's. 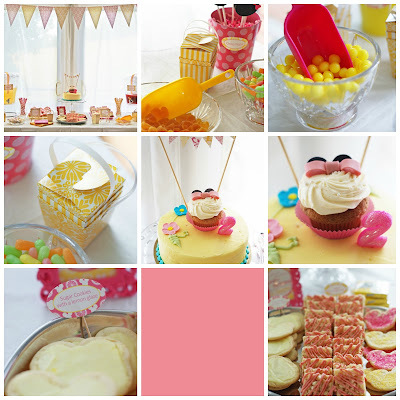 Coming up with the drinks and sweets that would be served on the dessert table was easy with the theme. I splurged on the cupcakes this year, ordering specialty cupcakes from Kupcakes & Co. in Elkridge, MD. 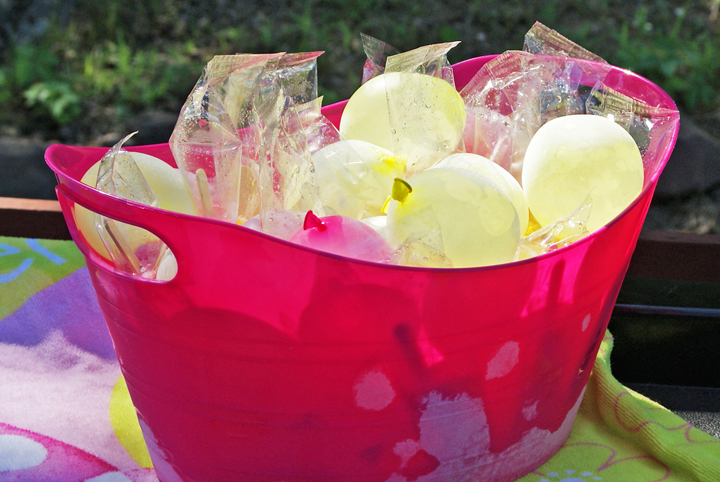 They had just introduced their Pink Lemonade flavor at the start of the summer and then customized the other flavor for me. I love their strawberry cake and lemon frosting, so I asked if they could put those together for us and they did! 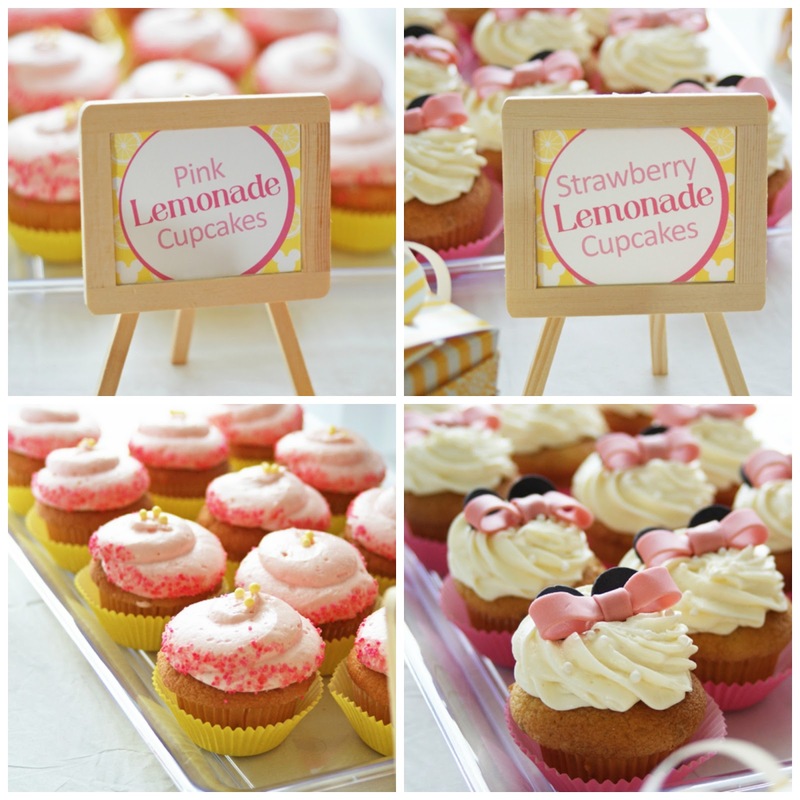 They also decorated the Strawberry Lemonade cupcakes with Minnie ears and fondant bows, and glammed all the cupcakes up with some pearls and sprinkles, one of which I put on top of the yellow cake, along with handmade cake bunting. Being a graphic designer, I wanted to put my skills to use, so in addition to the invitation I also designed signs for the food and drinks. 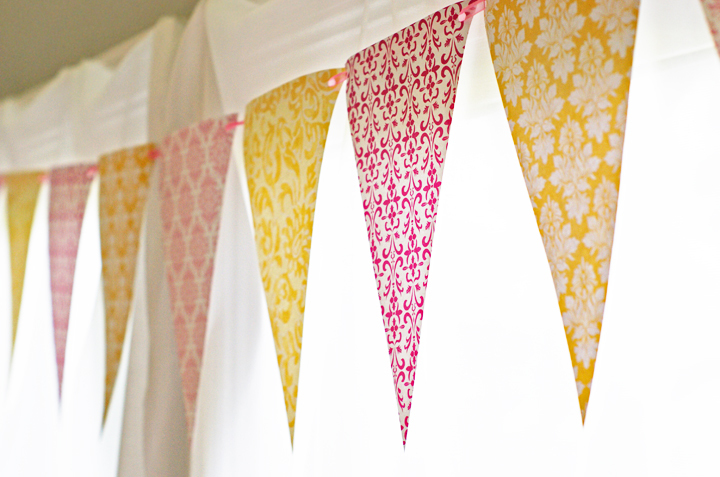 I created the serif typeface especially for the invitation and signs, and continued used the same pattern throughout. I pulled in other patterns with the bunting paper and treat boxes. In addition to cupcakes, we had DIY Minnie Oreo pops, lemon/lemonade candies, and cookies on the dessert table and sparkling lemonade and limeade at the drink bar. Oh, and the paper straws! I was beyond excited about the straws! However the birthday girl appreciated the candy more than anything, it seemed! The one party-oops we had was that I forgot to bring out the lemonade popsicles chilling in a bucket of frozen water balloons. 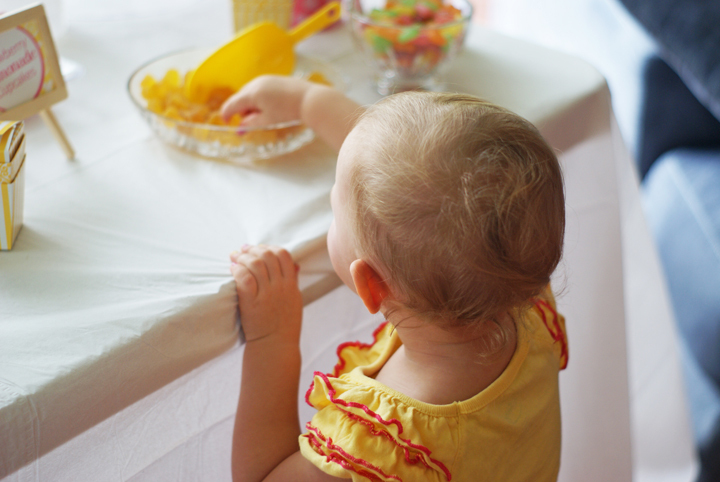 I remember while the kids were playing outside, came in to get them, got side tracked, and then forgot. But it looked great and, had it made it outside, I think it would have been a big hit! So cute and special! 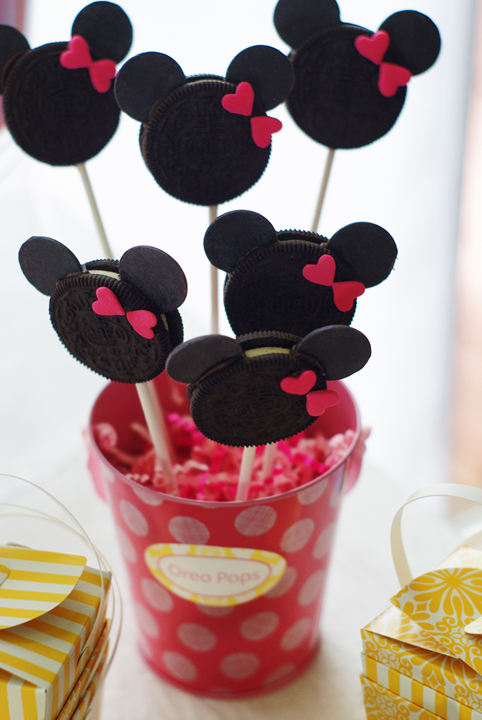 I love how you were able to incorporate her love of Minnie without letting it become a Disney character-themed event. I agree. Just enough Minnie touches without it being overly Disney.